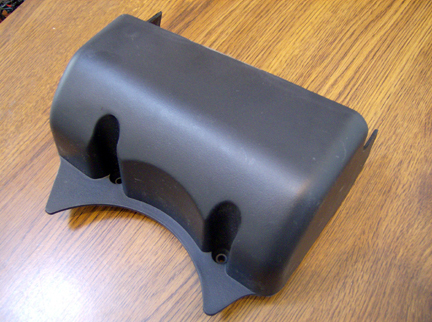 This is the special RCM cover intended to be used with the unique shift bezel of the 2002~2003 FX4 with manual transmission and manual t-case shifters on the floor. If you want a new one, get it now. Ford has discontinued this part and the only source is a dealers-only obsolete parts warehouse. As far as I can determine, there are only about 6 of these covers left in the world. If anyone has trouble ordering it through their local Ford dealer, let me know soon and I should be able to get you one. The price is about $35 plus shipping. Craziness. Good find and great digging!! Stuck for quick reference. Thanks Bob! Again for what it is worth, thanks for time you put in to make sure it was a good number. Nice touch to a needed item for me. Bob, I'll paypal you the moneyz... If you wanna go ahead and order me one! I know this isn’t the RCM Cover BUT it is related and i thought it might be a good place to keep things together. FX4 Dual Shifter Boot andBezel. Sorry Bob if this is a bad thing !